After hanging upside down for 30 seconds (or maybe less? )—blood rushing to my head, nausea rising in my stomach—standing feels euphoric. But given a few moments of rest, all I want is to be is upside down again. 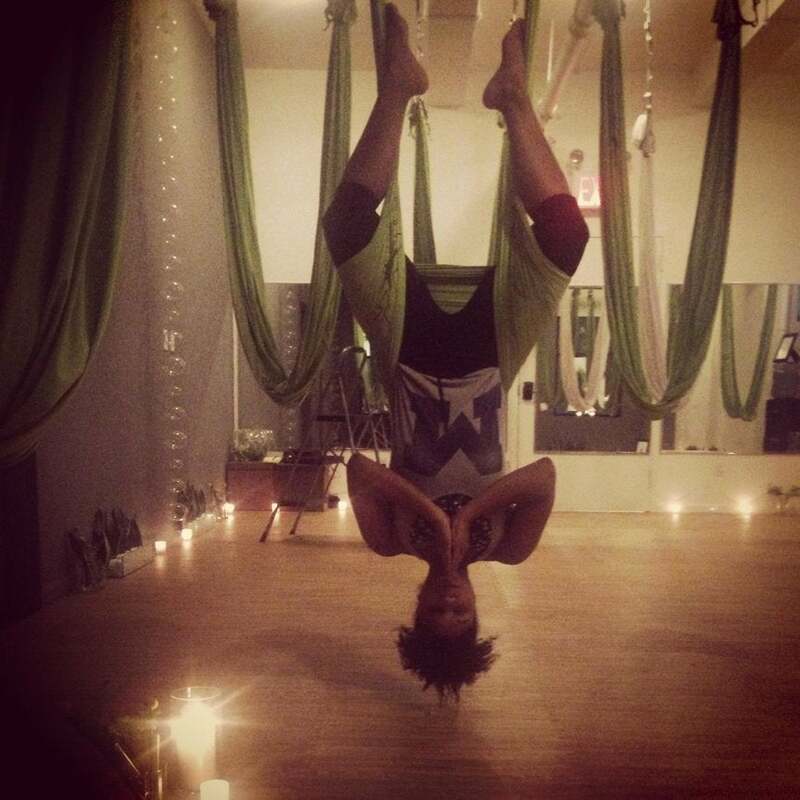 My first aerial yoga session at AntiGravity Fitness in NYC is, physically, a mixed bag. At first hanging with my hips supported by a hammock feels dully uncomfortable, but then I breathe and relax into it—I let go. When I stand, my body feels aligned and less tense somehow. It’s an effect that’s fairly common for this form of dynamic stretching exercise. AntiGravity Fitness was born, after Christopher Harrison, founder of the program and Broadway aerial designer, noticed his performers using the hammock to stretch and warm up for practice and performances. “We wanted to bring our workout to the weekend warrior—the person who isn’t a professional athlete but is still interested in fitness,” says Alex Schlempp of AntiGravity. And they’ve succeeded. These are not the yoga classes where everyone is intimidatingly perfect. Women and men of all sizes and ability levels performed the yoga-influenced moves. Some of the poses in my first class were intimidating, but when we came to a downward dog in which my hips were supported by the hammock, I felt a twinge of confidence and recognition. And as a chronic back pain sufferer, I haven’t seen many workouts that reduce my pain immediately—aerial yoga did just that. Whether you’re a seasoned yogi or fitness beginner, aerial yoga is certainly worth a look. To find a class near you, visit antigravityfitness.com.